The workshop is ongoing, co-hosted by the Ministry of the Environment, Fukushima Medical University, and the OECD Nuclear Energy Agency. Presenters include expert researchers from around the world, including Ukraine, Belarus and Russia, in radiological research and thyroid cancer research. 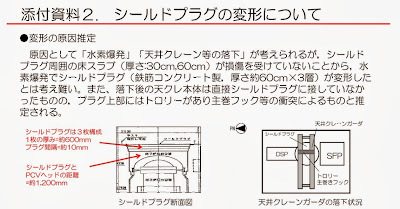 [TEPCO] disclosed [on February 21] that the valve in question was in fact open for 9 hours at the maximum. There is a possiblity that someone made a mistake in operating the valve. Further, there is a possibility that they [those in the section in charge of the water transfer operation] tried to hide the mistake. In the early hours of February 20 after the leak was discovered, the valve in question was confirmed to be closed. However, in the photo taken around 11AM on the previous day (February 19) the valve was open, and the lever to open and close the valve was attached to the valve, which is normally removed. That's what increasingly the government public relations broadcaster aka NHK says. NHK also says TEPCO has dispatched investigators from the TEPCO headquarters (in Tokyo) to Fukushima I Nuclear Power Plant and started interviewing the plant workers. 1. The RO waste water was to be transferred to a storage tank that was NOT the tank it subsequently went and overflowed. 2. Someone opened the wrong valve, and the water went to the wrong tank which was almost full. The water leaked from the top of the tank. 3. AFTER the water leaked from the wrong tank, he realized his mistake; he closed that valve, and opened the valve that should have been opened to transfer the contaminated water to the correct tank. A gross human error (I hope), which caused (at least) 100 tonnes of extremely contaminated (230 million Bq/L of all-beta, or 23 trillion Bq (terabecquerel) in 100 tonnes) water to leak (see my post on 2/20/2014). Contaminated water leak: Did someone open the valve? Regarding the 100 tonnes of highly contaminated water that leaked from a tank at Fukushima I Nuclear Power Plant, TEPCO has dispatched investigators from the TEPCO headquarters to the plant who are interviewing the workers. 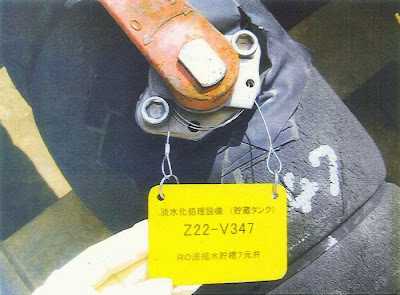 TEPCO suspects someone opened the valve that should remain closed, causing the leak. 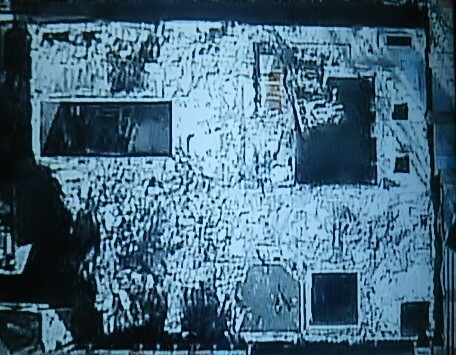 At Fukushima I Nuclear Power Plant, about 100 tonnes of contaminated water leaked into the surrounding ground in the plant compound in February 19 and 20 when too much water was poured into a tank on the mountain-side (west) of Reactor 4. 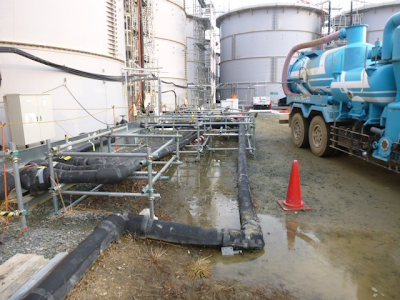 Initially, TEPCO explained that one of the valves [there are three] on the pipe that goes to this tank may have malfunctioned, as it let the water flow even if it was closed. However, a photograph was found that captured the same valve on a different job; the photo showed that the valve, suspected of malfunctioning, was open as of the morning of February 19 when the water was being transferred intermittently. On the other hand, the valve on the pipe that goes to the tank where the contaminated water was supposed to go remained closed as of the morning of February 19, blocking the water flow. However, after the leak was found, this valve was open. 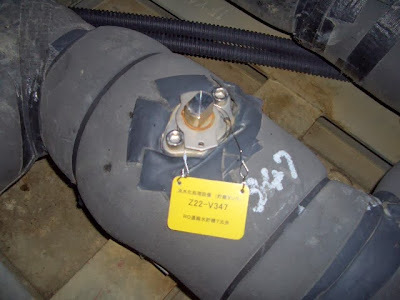 TEPCO thinks someone opened and closed these two valves, causing the leak of the contaminated water. In order to find out the details of how the incident happened and why the valves were operated, TEPCO has sent investigators from the headquarters to the plant who are interviewing the workers. TEPCO is considering a review of the maintenance/operation procedure, as the water level monitoring procedure when valves were operated was not strictly followed and the tools to open and close the valves were readily available to anyone. For now, it looks like some worker made a mistake, and after the leak corrected the mistake without saying anything to anyone, hoping no one would notice. It's all for " low-carbon energy future", says Obama's Energy Secretary Ernest Moniz. Additional loan guarantee of $1.8 billion is still pending, according to the article below. The Obama administration, in its quest for "low-carbon energy future", has invested and lost a fortune (taxpayers money) on dubious solar ventures (including infamous Solyndra). I guess the administration is now betting on a sure thing this time, on Toshiba/Westinghouse's A1000. The construction of two reactors using A1000 was approved by the US Nuclear Regulatory Commission in February 2012 (still under Dr. Gregory Jaczko, who cast the only dissenting vote). Waynesboro, Ga. - The Obama administration signed off Thursday on a $6.5 billion loan guarantee to help Georgia utilities build the nation’s first new nuclear reactors in more than three decades. 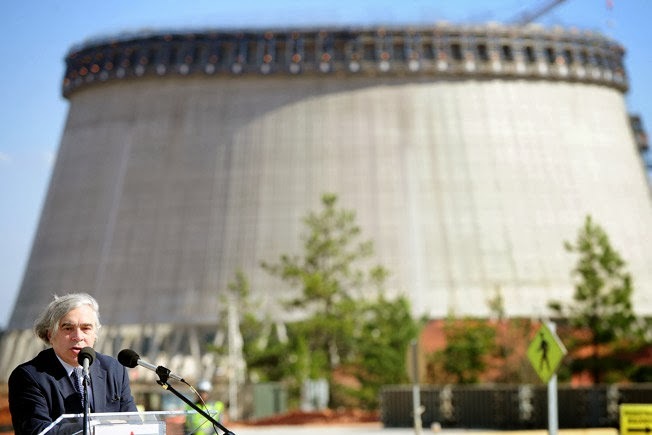 Energy Secretary Ernest Moniz traveled to the sprawling Plant Vogtle site in east Georgia to announce the loan aid for Southern Co. and Oglethorpe Power. Another $1.8 billion loan for a third company involved in the plant, MEAG, is still in the works. Stalled efforts to limit carbon emissions, plunging natural gas prices and other stumbling blocks have delayed the loan four years and stalled a broader nuclear revival. Vogtle on Thursday became the first project to receive the federal loan guarantee since Congress established the program in 2005 to jolt the nuclear industry. Critics pointed it out safety concerns surrounding nuclear power plants, and cited the nuclear disaster at Japan’s Fukushima nuclear plant in the wake of an epic tsunami there. But Moniz said the federal guarantee is part of a broader “all of the above” effort to offer an range of alternative energy sources that could lower carbon emissions. He said he huddled with Georgia Power executives to reach a final agreement after years of delays. "Lessons" of Fukushima? What kind of lessons is Ms. Fuchs thinking of, I wonder, other than that "accidents can, and do happen at nuclear power plants". But unless her organization starts to cite very specific lessons, Dr. Ernest Moniz will pay no attention, I'm afraid. It was Dr. Moniz who declared back in 2011 that "It would be a mistake, however, to let Fukushima cause governments to abandon nuclear power and its benefits." But "ahead of the train", Mr. Secretary? To be run over by the train, you mean? The Obama administration has already allocated nearly a half billion dollars for the small modular nuclear reactor development, the effort spearheaded by the world 2nd richest man Bill Gates. Since 1950s, the US has been demanding the kind of Japan that Prime Minister Abe is now advocating, says Financial Times. Why is the US complaining, then? Buyer's remorse? The subtitle "The US fears that Japan’s departure from postwar pacifism will provoke Beijing" almost reads like what Special Advisor to Prime Minister Seiichi Eto said in his Youtube video which was then taken down by the request from Chief Cabinet Secretary Suga the other day. It is fairly easy to assess the relationship between Shinzo Abe’s Japan and Xi Jinping’s China. Neither likes the other very much. Both are using nationalism as a prop to further policy aims. Both conceivably find it useful to have a “tough man” on the other side, the better to push against. Less easy to calibrate is the state of relations between Japan and the US. This ought to be far easier to decipher. Japan is, after all, the US’s most important ally in Asia, the “unsinkable aircraft carrier” that has hosted US fighter aircraft and troops since the end of the second world war. Now, in Mr Abe, it has a leader who, after decades of American prodding, is finally willing to adopt a more robust defence posture and revisit the “freeloader” defence doctrine that pacifist Japan has long embraced. Yet having attained what it has long been after, Washington is showing signs it is getting cold feet. One sign of that was its expression of “disappointment” after the December visit of Mr Abe to Yasukuni shrine, which is regarded as a symbol of Japan’s unrepentant militarism by China and South Korea. In the past, Washington has privately voiced its displeasure at Yasukuni visits, but has not publicly reprimanded Japan. Tokyo was taken aback by the use of the word “disappointed” – translated as shitsubo – which sounds harsh in Japanese. There have been other signs of strain. US politicians have voiced concern at Mr Abe’s view of history. Virginia lawmakers ruled that school textbooks should also use the Korean name – East Sea – for the Sea of Japan. Washington is concerned that, under Mr Abe, Tokyo’s relations have also soured with Seoul, another important US ally. From Japan’s perspective, Washington did not back it up with sufficient vigour when Tokyo’s control of disputed islands was cleverly challenged by Beijing’s announcement of an air defence identification zone. Washington did show its displeasure by flying B52 bombers over the zone, but Joe Biden, US vice-president, did not make a big deal of the issue when he visited Beijing. Many officials in Tokyo regard Washington as having virtually capitulated to China’s unilateral move. They also regularly bemoan the absence of “Japan hands” around President Barack Obama, who has tended to surround himself with people far more steeped in China. More than one official in Tokyo speaks of a growing sense that Washington can no longer be relied upon to support Japan. There is an irony to all of this that will not be lost on Mr Abe. Ever since 1950, Washington has been urging Japan to rearm and to adopt the sort of defence posture Japan’s prime minister is now advocating. No sooner was the ink dry on the 1947 pacifist constitution, written under the orders of General Douglas MacArthur, than the Americans regretted forcing Japan to forever renounce “the right of belligerency”. John Foster Dulles, appointed to negotiate the end of the US occupation, urged Japan to build an army of 300,000 to 350,000 men. China had gone communist and the US was fighting a war in Korea. It no longer suited the US to have a neutered “client state” in east Asia. For years Japan resisted that pressure. Tokyo relied on the US nuclear umbrella and got on with the business of business. Its only concession was to form a Self Defence Force that was forbidden from fighting. Now, six decades later, Japan has a leader willing to take the US at its word. Mr Abe has the personal conviction, as well as the geopolitical pretext, to revamp Japan’s interpretation of its constitution or even to overturn pacifist article nine itself. When Mr Abe went to Yasukuni, he may have partly been sending a message to Washington. It is a curiosity of the Japanese right that it has been the most ardent supporter of the US-Japan alliance while simultaneously being resentful of the postwar settlement imposed by Washington on a defeated Japan. Going to Yasukuni in defiance of US wishes is one way of signalling that Japan cannot always be relied upon to do Washington’s bidding. Distaste in Washington for Mr Abe is by no means universal. In some ways, the Japanese prime minister is exactly what the US doctor ordered. He has a plan to reflate Japan’s economy. He is the first leader in years with any hope of solving the festering issue of US marine bases in Okinawa. He is willing to spend more on defence after years of a self-imposed limit of 1 per cent of output. Those policies, however, come with a price tag: a revisionist nationalism that many in Washington find distasteful. “As China grows, Japan has more and more reason to be anxious about China’s power, and less and less confidence in America’s willingness to protect it,” Mr White says. The US, he argues, must either commit itself unambiguously to defend Japan’s core interests or help Japan regain the “strategic independence it surrendered after 1945”. 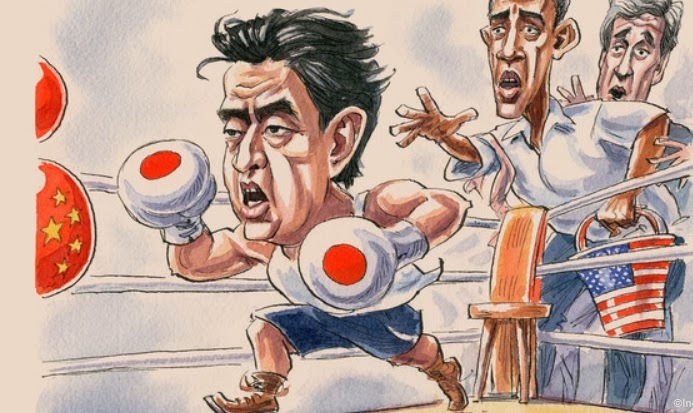 Japan’s answer to that dilemma is to hold on ever tighter to America – and to pull away. (UPDATE 2/21/2014) Someone may have opened the wrong valve, not the valve malfunctioning as initially claimed by TEPCO, causing the leak. See my latest post. 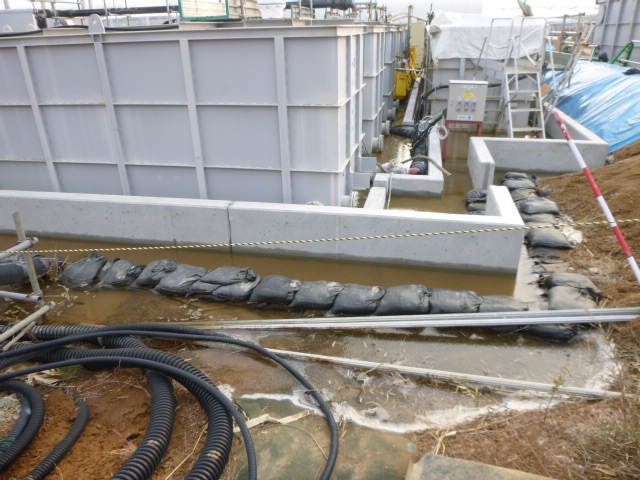 According to TEPCO's alert for the press (2/20/2014), there has been a fresh leak of highly contaminated RO (reverse osmosis) waste water at Fukushima I Nuclear Power Plant, the same kind of water that was found leaking in August 2013. There are 1,000 liters per tonne, and TEPCO says about 100 tonnes of this water leaked. How did this happen? It was not through some cracks or loose rivets with deteriorating packing this time. The short answer is: TEPCO let it overflow by negligence. 1. The tank is a tall, riveted tank to store RO waste water in H6 area. The tank was almost full. 2. For some unknown reason, the valves of the pipe that feeds RO waste water to the tank were open, which should have been closed. The waste water kept coming and filling the tank. 3. At 2:01PM on February 19, 2014, an alarm went off, indicating the water level is dangerously high. 4. But there was no transfer of the water scheduled at that time. So TEPCO and the workers thought either the alarm was malfunctioning or the water gauge was malfunctioning. They did nothing. 5. The waste water started to overflow from the flange at the top of the tank. 6. The waste water flowed into the rain gutter installed on the perimeter of the tank top to collect rainwater. 7. The gutter is connected to a drainpipe to guide rainwater OUTSIDE the dam that surrounds the concrete pad on which the tanks stand. 8. 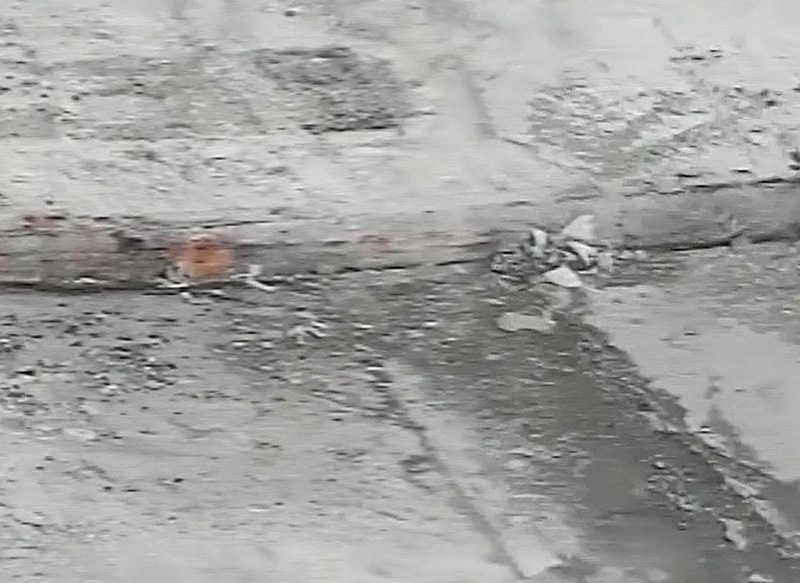 The extremely contaminated waste water flowed through the drainpipe onto the ground. 9. Finally a worker from a TEPCO affiliate company found the leak during a patrol at 11:25PM on February 19, 2014. 10. The water stopped at 5:40AM on February 20, 2014 after the valves were closed. Special Advisor to PM Abe Told to Delete Youtube Video in Which He Says "We Are the Ones Who Are Disappointed with the US"
An aide to Prime Minister Shinzo Abe was instructed to delete a video in which he expressed disappointment over the U.S. reaction to the Japanese premier’s December visit to a Tokyo war shrine. Chief Cabinet Secretary Yoshihide Suga told reporters in Tokyo he had directed Seiichi Eto, a member of the upper house of parliament and a special adviser to the prime minister, to delete the video from YouTube because it expressed a personal view rather than the government position. The U.S. embassy last year issued a statement saying the government was “disappointed” by Abe paying his respects at the Yasukuni Shrine on Dec. 26, adding his action would “exacerbate tensions with Japan’s neighbors.” Animosity with China and South Korea over separate territorial disputes was worsened by Abe’s visit to the shrine, which is seen by many in both countries as a symbol of Japan’s past militarism. Eto went on to say that the U.S. was trying to appease China with its statement. “You may think the ’disappointed’ statement was directed at Japan, but that’s not the case. They are telling China that they are disappointed. My understanding is that it’s just an excuse they are making to China,” he said. His youtube video (it is one of his regular video new to his constituents) has already been made "private". Mr. Seiichi Eto, pictured right, is the one who was sent to the US in October last year as special advisor to Prime Minister Abe to lay the groundwork for Abe's Yasukuni Shrine visit and obtain the understanding from the Obama administration. In the video which I watched before it became "private", Mr. Eto expressed his puzzlement over the US response. As far as he was concerned, the US understood that Abe wanted to visit the shrine. Mr. Eto said he told the Obama administration officials not to make a big issue out of it even if they wouldn't approve of the visit, and they agreed. It's interesting that the above Bloomberg article mentions only the US embassy (in Tokyo) that issued the "disappointed" statement, not the State Department (whose spokeswoman told a Chinese reporter to go get a dictionary). "G2" in complete agreement in this case. See my post in January this year for the demand from the other G2 nation. China calls on Japan to return plutonium to U.S.
BEIJING, Feb. 19 (Xinhuanet) -- China has voiced serious concern over Japan’s possession of weapons-grade nuclear material. The US has been calling for the return of over 300 kilos of weapons-grade plutonium, which it loaned to Japan for research during the Cold War. The Chinese Foreign Ministry is pressing Tokyo to return the plutonium to the US as soon as possible. At a routine news conference on Monday, Foreign Ministry Spokesperson, Hua Chunying, said Japan’s large stockpile of plutonium poses serious nuclear security and non-proliferation risks. China is calling on Japan to settle the imbalance between its supply and demand of nuclear materials, in accordance with International Atomic Energy Agency rules. "China has been paying great attention to nuclear proliferation, the safety of nuclear material, and its potential threat to regional security. According to the rules of the International Atomic Energy Agency, each country should ensure a balance of supply and demand when it comes to nuclear material. Japan storing large amounts of weapons-grade material violates such rules. It is obvious that only the peaceful use of nuclear energy can guarantee no security issues will arise. China urges Japan to give a concrete explanation, and take responsibility for the safety of international society, comply with its obligations, and return the materials to the US as soon as possible.” Hua said. Reporters: What is your thoughts on the government's measures for the heavy snow? The twitter account of the PM Official Residence on Emergency Response Information did not have anything on the extreme snow fall in parts of Kanto, particularly Yamanashi, until the afternoon of Sunday February 16, 2014. Even then, it only retweeted the tweets by Ministry of Land and Infrastructure with the links to PDF files (as if people accessing the emergency tweets on their cellphones can easily open the PDF files). There was a tweet by someone who called the PM Official Residence on Sunday to urge someone there to get busy on helping Yamanashi and other prefectures which are not prepared for this kind of snowfall. (In normal years, Yamanashi's snowfall is about 14 centimeters. This year, it is over 156 centimeters.) The call was received by a guard, who told this person to call back on Monday (weekday). PM Abe himself had a tempura dinner (15,000 yen (US$150) per person, I hear) on Sunday with his supporters at an upscale restaurant in uptown Tokyo, as people stuck on the highways and roads in Yamanashi and northern Kanto survived on free bread provided by Yamazaki Bread. Another heavy snow storm is expected this week, as early as February 17 or 18. As to the new governor of Tokyo who said "Snow? What's the big deal? ", his twitter account has nothing so far on the snow emergency, which is severely affecting the western (mountainous) Tokyo. The last tweet was on February 13 or 14, telling his followers he has been working very hard every day as the governor. A strange song and dance continues between TEPCO and Governor of Niigata Hirohiko Izumida. Mr. Izumida is considered to be one of the champions for people who are against nuclear power plants in Japan for his combative stance against TEPCO with his remarks like "Which is more important, profit or people's lives?" to a president of a (nominally) for-profit enterprise. He is also insisting that TEPCO NOT use the filtered vent to be installed at Kashiwazaki-Kariwa Nuclear Power Plant unless he gives the express permission to do so in case of a severe accident like the one that hit Fukushima I NPP. Why? Because the filtered vent cannot eliminate the volatile radioactive materials like noble gas and iodine-131. Izumida doesn't want the vent to take place while the residents in the surrounding areas evacuate. 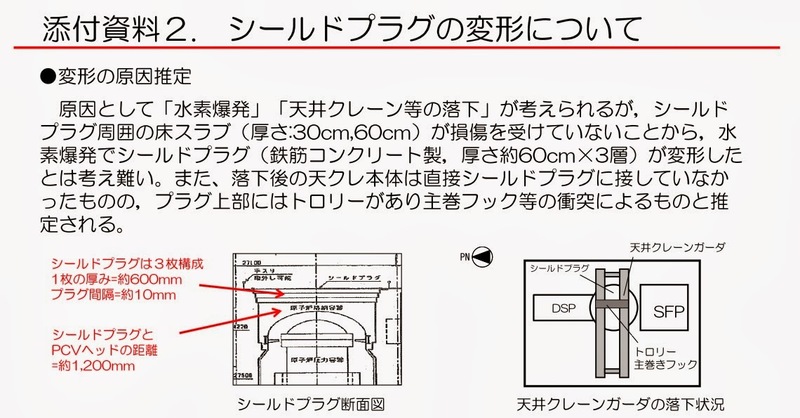 So TEPCO came up with an assurance that they would do the vent in 18 hours after the start of a severe accident. 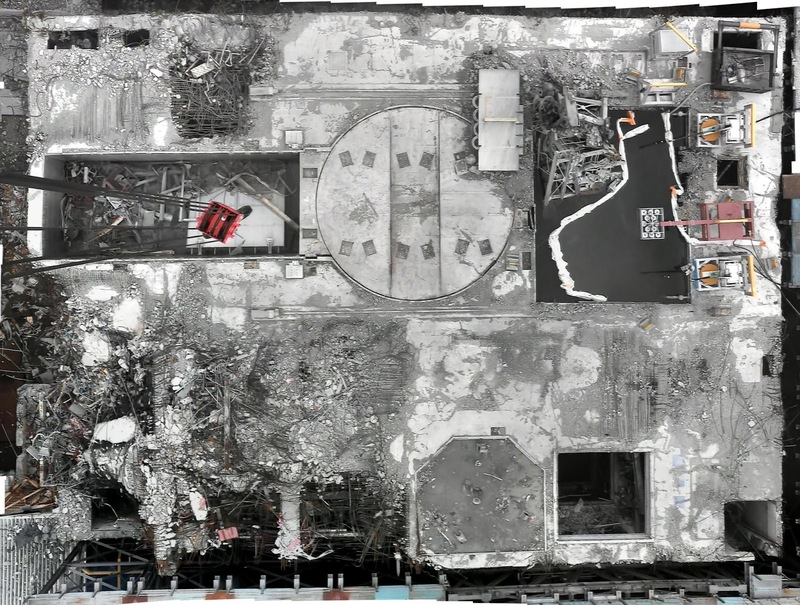 To refresh our memory, Reactor 1 at Fukushima I Nuclear Power Plant suffered a core melt by the early morning of March 12, 2011. The earthquake that triggered the scram of the reactor core was 2:46PM on March 11, 2011. If that's what Izumida wants - wait for 18 hours to do the vent in a severe accident, I guess he is willing to own a severe accident and its consequences at Kashiwazaki-Kariwa NPP. 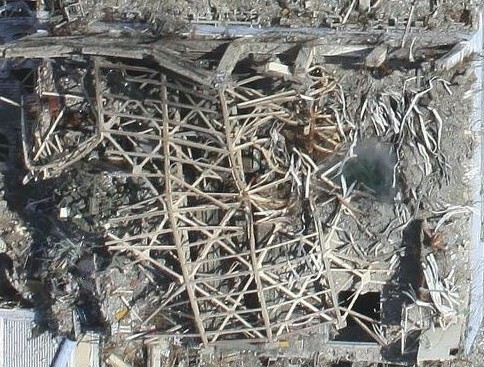 TEPCO announced the result of simulation that the vent would be done in 18 hours at the earliest using the filtered vent facilities in order to release the steam inside the Containment Vessel in case of a severe accident at Kashiwazaki-Kariwa Nuclear Power Plant (in Kashiwazaki City and Kariwa-mura in Niigata Prefecture). TEPCO announced the result in the technology committee made up of nuclear experts and organized by the Niigata prefectural government. The simulation was based on the worst case scenario whereby all the reactor cooling mechanisms failed, including water injection into the reactor core using fire engines. During the press conference on February 12, Governor Hirohiko Izumida commented on the specific timeframe TEPCO indicated. "We need to do the technical evaluation, including whether the vent could really be delayed for 18 hours as assumed by TEPCO." 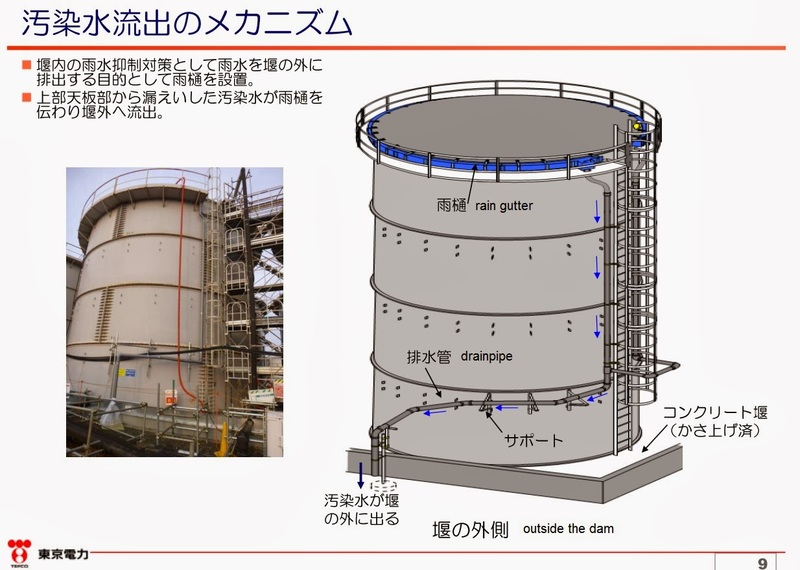 According to TEPCO, the filtered vent facilities reduce particulate radioactive materials in the steam inside the Containment Vessel to one-thousands, but they cannot remove volatile radioactive materials. While I do not think much of Governor Izumida's insistence on approving the vent in case of a severe accident, he is probably doing more to help Yamanashi Prefecture to dig itself out of the heavy snow than the national government or other local government. Niigata is famous for the extremely heavy snow fall it routinely gets during winter, and it is extremely well-equipped to deal with such snow fall. According to Niigata Nippo newspaper, Izumida has already sent four officials to assess the situation in Yamanashi to plan a rescue operation including sending snow-plowing specialists in Niigata. The facility, Waste Isolation Pilot Plant (WIPP), takes plutonium-contaminated waste from Los Alamos National Laboratory and other federal nuclear projects. CARLSBAD, N.M. (AP) — Officials checking the presence of airborne radiation at an underground site in southeastern New Mexico where the U.S. government seals away low-grade nuclear waste say surface tests have detected no contamination. Samples were taken at several sites around the Waste Isolation Pilot Plant after an air monitor found radiation on the underground levels of the facility around 11:30 p.m. Friday, the U.S. Department of Energy said in a news release. No workers were underground at the time and no injuries or damages have been reported. A fire at the site earlier this month prompted an evacuation. The surface samples show no contamination has been detected, implying the leak was “not significant,” he said. Nelson says the cause of the leak is not known yet. The devices that continuously monitor the air underground reached a threshold level that automatically switches the ventilation system into a filtered mode. He couldn’t quantify the level it takes to trigger the monitors, but says they’re sensitive. He says the monitors have been triggered in the past by radon fluctuations. No one has been underground, and Nelson said he didn’t know when that would happen. “We are going to take measurements and make sure we understand it” before sending in a team, he said. 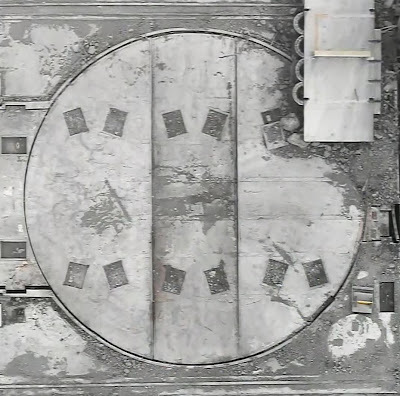 WIPP is the nation’s first and only deep geological nuclear waste repository. It takes plutonium-contaminated waste from Los Alamos National Laboratory and other federal nuclear projects.